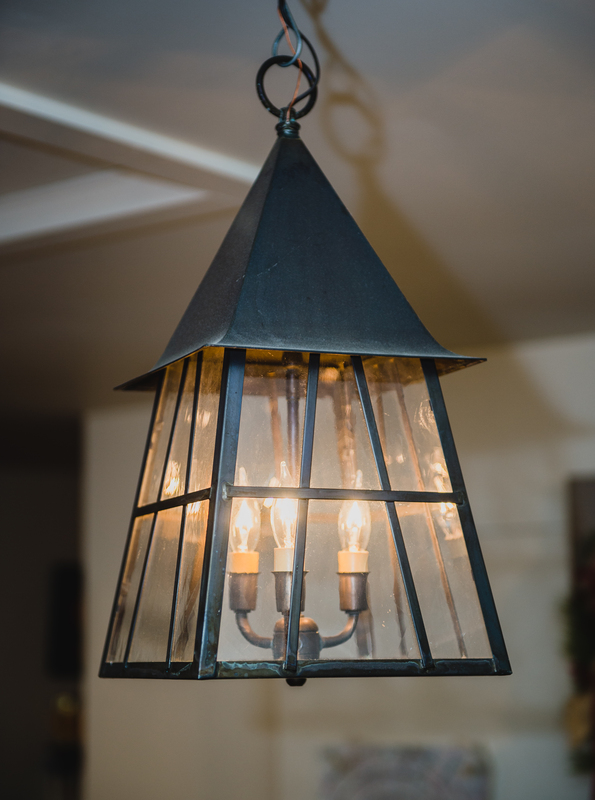 Whether you are remodeling your home, or building, choosing outdoor lighting can be very overwhelming. There are several things to take into consideration. 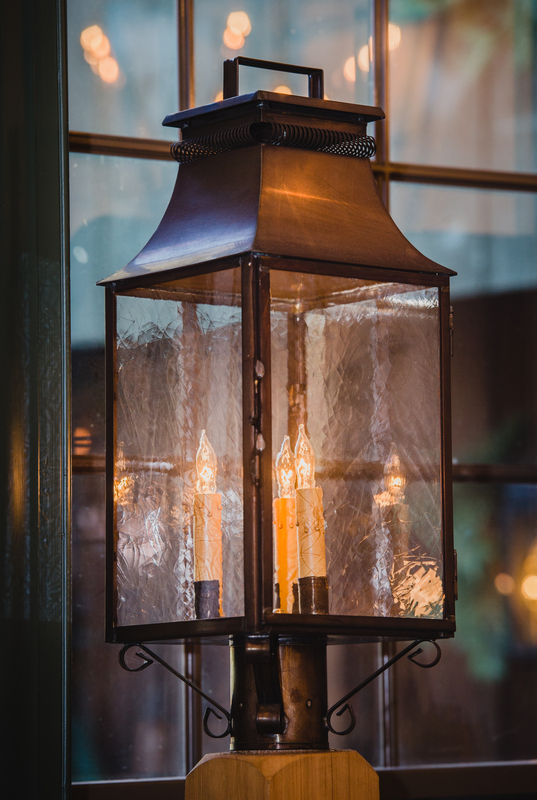 So before tackling your outdoor lighting project, make sure to follow these tips to beautify and enhance your home. Function: what will your lighting be used for? Measure the height of your door. Your wall mount fixtures should be ¼ – 1/3 the size of your door. When hanging the fixture you will want to position the light around eye level, or a little above. A good rule of thumb is 5.5’-6’ from the ground. You want to see your fixtures from the road. One of the most common mistakes is choosing a fixture that is too small. Your lighting will appear to be ½ the size when you get 50’ away from your home. When in doubt always go bigger. What looks large in the showroom, will look much smaller on your home. Post lights should also be in line with the size of your home. Bigger is usually better and keep in mind that the farther you are away from the light the smaller it will appear. What style of home you have will help you determine what style of lighting. 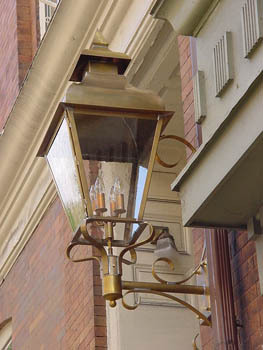 Brass is one of the most durable outdoor lighting finishes. It holds up in all environments. You can a choose raw brass, or dark brass finish. Raw brass will eventually darken over time, but will not corrode. How bright do you need your fixture. Keep in mind that going to the maximum amount of wattage on your post or wall mounts may be too bright. You want to softly luminate your home. Not have lights that are too bright and glaring. We will be able to assist you much easier if you have pictures of your home. Blueprints are also beneficial when choosing lighting. This will also help us determine style and size of the lighting you will need. How to keep your lighting looking great all year round? Replace broken or burned out light bulbs when needed. Replacement candle sleeves are available and can easily be replaced. They come in cardboard and plastic. Regularly clean your glass inside and out. Make sure to clear your lighting of any nests or debris. Keep your bushes and shrubs trimmed around your light fixture. They should compliment your lighting. Choosing the right lighting will compliment your home. Think of it as a way to welcome your guest. As we like to say, it’s the jewelry to your home. Lighting is one of the first things people notice and one of the most important items to showcase your home. If you have any questions please let us know. 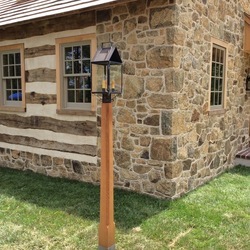 We have a variety of outdoor lighting fixtures to choose from with many styles handcrafted right here in Lancaster County, PA. Our Olde Mill Lighting has also been featured on the big screen in “Pirates of the Caribbean”, “Pirates of Caribbean 2”, “The Village” and the “John Adams” documentary featured on HBO. 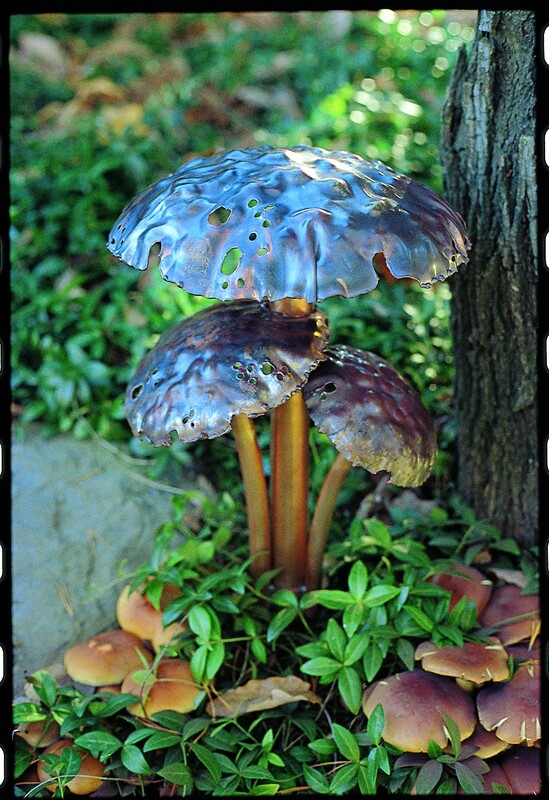 My husband and I have been looking into finding the right outdoor garden accessories for our garden. I like what you said about how important is it is to know what functionality for the lighting in order to choose the right lighting for your garden. This is a great tip, thanks for sharing! You are welcome. Good luck in your search. Thanks for mentioning that you want to be able to see your lighting from the road. It makes sense that you would want to choose lighting a little larger if it will be placed far from the road. I am trying to redo my yard, and I want to choose the best lighting possible so it looks good at night. I will keep this in mind, thanks! Thank you Ernest. Good luck in making your decision. I have been thinking of brightening up the exterior of my home by adding a few lights out there, but I do not know where or how to begin. I decided to make a research because I want to make sure that I do not overdo the lighting project. It was great that I came across this article because I learned that the maximum amount of wattage may cause the light to be too bright, so it’s best to consider that first so as to ensure that the house is softly illuminated. I will take note of that one. After all, I want a whimsical and majestic look that’s not glaring. Thank you for sharing. You are welcome. I’m glad you found some tips for your lighting project. Best of luck to you. Let me know if you have any other questions.